In need of a personal loan that allows you to customise your options? Or do you simply want a personal loan that gives you transparency with every transaction? With the Net Credit Personal Loan in your arsenal, you can have all of these and more. Net Credit gives you personalised loan options that work well with you and the type of lifestyle you have. To know more about their loans, make sure to read on. One of the best things you can experience with the help of Net Credit is having a say in your plan. Through their financial initiatives, you can finally say goodbye to payment schemes that do not have your best interest in mind. With Net Credit, you can get a personal loan that’s created just for you. This service provider takes pride in letting you have access to their RightFit Tool, allowing you to choose the terms that work best with your lifestyle. Another advantage you will certainly be thankful for is knowing the overall costs of your loan. Committed to providing a clear, honest and transparent relationship, Net Credit brings you their ClearCost for Me promise. With this program, you will gain access to your contract. This will include a detailed list of how much you owe when you need to pay your dues, and all the interest and fees factored in. The last but definitely not the least, you can build good credit and prove your trustworthiness. Or should I say creditworthiness? 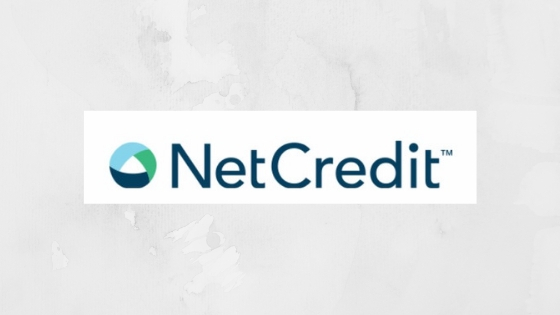 With Net Credit My CreditBuilder program, you can build a positive credit history with the help of 2 major credit card companies. All you need to do is make timely payments and you can improve the overall state of your finances. To make the application process easier, you are advised to check your eligibility on the Net Credit website. There is a short online form which allows you to determine if you are qualified. This does not affect your credit standing whatsoever. Some of the details you need to provide include the loan amount you intend to take out, the purpose for borrowing money, personal information, and your source of income. If you are eligible, you will be asked to use the RightFit Tool so you can customise your preferred loans amount and repayment terms. Should your application be approved, your money will be directly deposited in your account. You can take out a loan ranging from $1,000 to $10,000. Rates and terms vary from one state to another. For California, you can take a loan amount from $2,600 to $10,000. This will garner an APR of 34% to 155% depending on your credit standing. The loan duration will be anywhere from 6 to 48 months. The typical loan offer from this state is $4,421, have an 84% APR and a payment duration of 38 months. This means the borrower will have to pay $338 for 38 months. If you want to be in control of your finances, check out the Net Credit Personal Loan today. Apply now!